Photographer with a difference! : Bring it on! 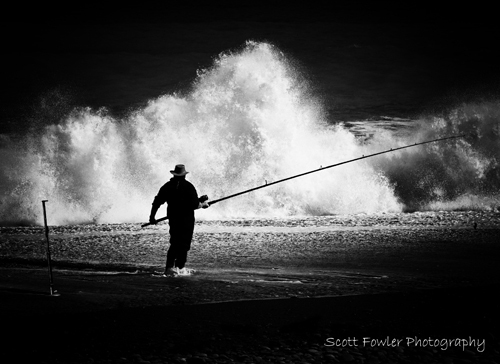 Big seas & a fisherman waging battle.